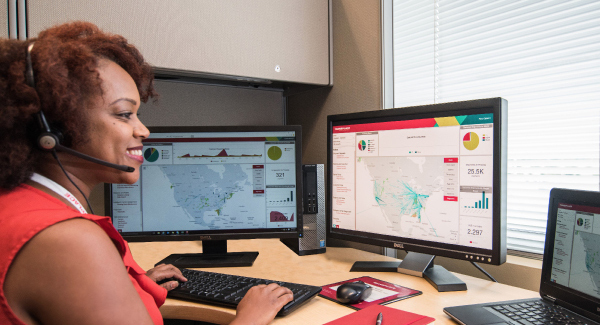 Transplace's technology and expertise help Brenntag streamline operations and realize greater visibility. Brenntag North America identified Transplace as the ideal partner because of its comprehensive logistics technology and experience in the chemical sector. Using Transplace's proprietary software-as-a-service (SaaS) TMS to manage all of its inbound and outbound shipments allowed Brenntag to streamline its operations and realize greater visibility of the entire shipment lifecycle; optimizing and tracking shipments in real-time while providing status updates to customers. Electronic tendering capabilities provide a clear view of shipment tenders, and the TMS's automated process for finding and assigning the lowest cost approved LTL carrier saves time while reducing freight costs. Leveraging Transplace's procurement tool has given Brenntag North America access to a larger network of carriers and brokers with the simple click of a button in order to get a load covered quickly and at the most competitive cost—generating significant cost savings. Additionally, automating the invoicing process helped ensure payment accuracy and produced further annual savings. To learn more about Transplace’s solutions, email info@transplace.com, call 888-445-9425, or visit www.transplace.com.